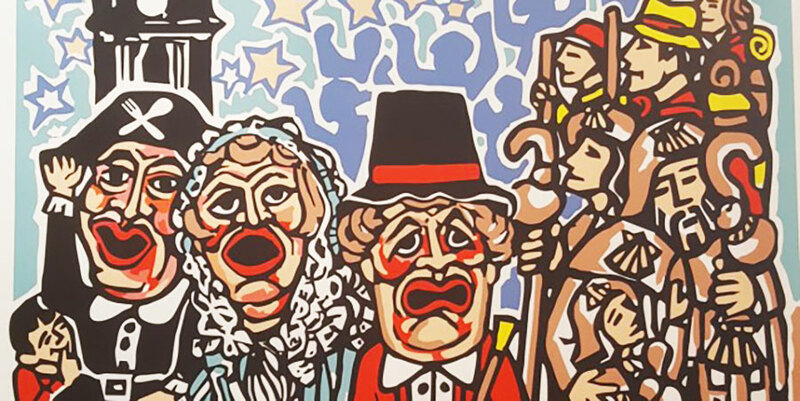 The last two weeks in July, the city of Santiago de Compostela celebrates its biggest festival of the year: St James Festival or the Apostle Festival (Festas do Apóstolo). St James is the patron saint of Santiago de Compostela but also Galicia; which means St James Day is also Galicia Day and a holiday in the region. Many pilgrims on the Camino de Santiago aim to reach Santiago de Compostela for 25th July, St James Day. When St James Day falls on a Sunday, it will be considered a ‘holy’ or ‘xacobeo’ year. 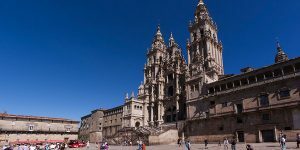 If you are planning your Camino de Santiago in July and arriving in the city after 15th July, you should definitely stay in Santiago for a few days to enjoy this unique festival. 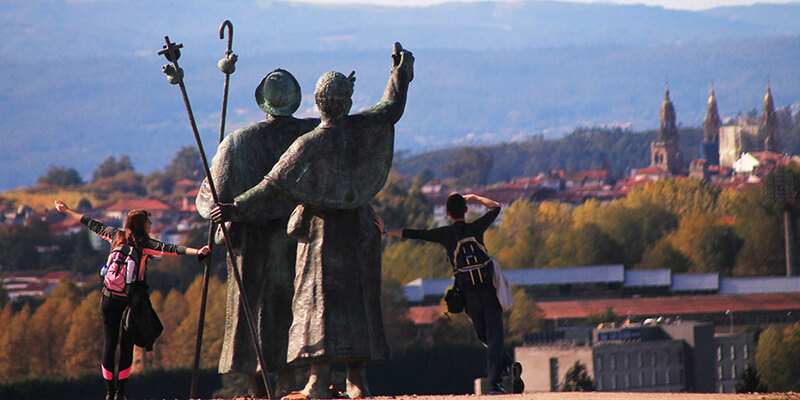 As the capital of Galicia, Santiago de Compostela attracts not only pilgrims but also many Galicians on those dates. St James Festival celebrations in Santiago combine both religious and traditional elements with contemporary music, theatre, entertainment and a wide range of cultural events filling the city’s old town and its main squares. From free concerts by important artists to traditional music and dance, visiting Santiago de Compostela in July will reveal a very unique and special side of the city; as well as a close insight into Galician culture. One of the most iconic events is the firework display on St James Day eve. On 24th July at midnight, locals and visitors gather at the Praza do Obradoiro to enjoy the traditional fireworks and display projected on the facade of Santiago Cathedral. On July 25th, St James Day, Santiago Cathedral hosts its High Mass, usually attended by the king or a member of the Spanish Royal family and one of the special dates when you can see the ‘botafumeiro’ in use. On St James Day each year, many Galicians also travel to Santiago to celebrate Galician language and culture. The St James festival in Santiago de Compostela is officially closed with fireworks on 31st July. Hi Albert, the botafumeiro is often used for pilgrim mass (daily at 12pm). It is also swung on special feast days including St James Day. 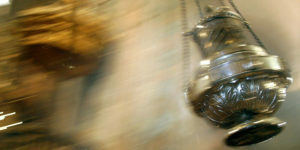 While the cathedral doesn’t release the exact time, it is likely that it will be used during pilgrim mass on that day, see additional information here: https://caminoways.com/see-botafumeiro. Let us knwo if you need anything else and Buen Camino! We intend to bike from San Sebastian to Santiago and finish on the 25th. Do you know what time they would have the Masses when the botafumeiro? Hi Kamila, thank you for getting in contact, would you be able to tell us which program you are referring to?